The American Spirit Experience is a wonderful opportunity to develop knowledge of America’s heritage, citizenship, and leadership. It is also a great opportunity to meet new people, develop leadership and public speaking skills, and travel the east coast. 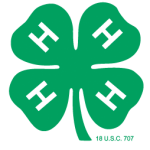 The State 4-H Office will be facilitating two weeks of American Spirit starting in 2019. Participants must be in 8-10th grades when registering. The approximate cost of American Spirit is $1400. Please contact your county office regarding potential scholarship opportunities. Adult advisors must complete the application through 4HOnline in order to be considered. You can find more information on this on our adult advisors page. Registration will be done through 4HOnline and will open between November 7, 2018 – January 10, 2019. Registration for travel week preference will be done on a first come, first serve basis. There will be a wait list created for each week in case of cancellations. If you need help registering through 4HOnline, please consult this document. You will be sent additional details after registration with more information on American Spirit and the orientation. Payment is due February 1st. Counties will be invoiced through the State office. Participant Orientation dates will be announced at a later time. Adult advisors are required to attend one of the orientations. Questions? Contact Justin Lieck at 608-263-5971 or justin.lieck@ces.uwex.edu.